What is a bestselling author – and how would your life change if you became one? Who decides which authors appear on the bestseller lists? And, what can you increase your odds of making it happen? How to Become a Bestselling Author Guide. Did you know that the first bestseller list wasn’t published in the United States until 1895? The New York Times didn’t publish their first list until 1931? And the Wall Street Journal didn’t get with it until 1994? Today it seems like every print and online publication imaginable is coming up with their own bestseller list. And they’re creating them for every genre or category: fiction, nonfiction, ebooks, self-help, graphic novels, cookbooks, children’s books, etc. you have a greater chance of making it. How the Bestseller Lists Work – What Is a Bestselling Author? In the United States, rankings on the bestseller lists are based on weekly sales reported by secret booksellers across the country. These include national, regional and local chains; online retailers; independent book retailers; warehouse clubs; supermarkets, university, gift and discount department stores; and newsstands. That means you need a lot of books in print to have a great chance of making the list. And you need major distribution. You can still make a bestseller list if your book is only published electronically (as an eBook), but you’re at an obvious disadvantage. 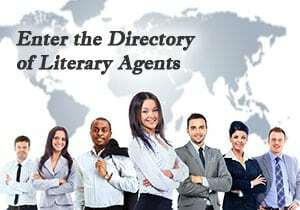 Authors published by major houses (with national distribution) like Random House, have the edge. Plus (most authors don’t realize this), your book has to sell a lot during one week… not many weeks or months or years. Remember, bestseller rankings are based on weekly sales. For example, some books I placed with publishers when I was a literary agent ended up selling hundreds of thousands of copies but they never appeared on a bestseller list. That’s because the sales took place many months (in some cases, years). Don’t feel too bad for those authors though. They made hundreds of thousands of dollars anyway! The Good News – What Is a Bestselling Author? Even if you don’t make a bestseller list, you can still do very well financially. Although luck might have a little bit to do with you becoming a bestselling author, it’s probably not as much as you think. In fact, there are many things you can do to increase your odds of becoming a bestselling author. If you have talent and you’re committed to the process (and you follow the advice on this website) you’ll more than double your chances. (as if you didn’t already know that). Seriously though, becoming a bestselling author is everything you ever imagined. And then some. First, you’ll enjoy the overwhelming validation that comes with countless people appreciating (and paying for) your work. You’ll realize that everything you previously thought and felt about your writing was true. Your instincts were right and you weren’t crazy (okay, maybe a little). But you really are a good writer. I’m not just talking about money from normal book sales, either. You’ll probably get paid in other ways as well. For example, you might get paid for foreign editions and translations; merchandise; and film, TV, or stage adaptations. You might receive speaking fees (if you’re interested in speaking), or be able to raise your rates if you’re already getting paid as a speaker. And, if you’re an entrepreneur, you’ll be able to charge more (what you’re really worth) for your other products and services. You’ll start getting more respect and be perceived as more of an expert. Your status and influence will increase. New doors will start opening. You’ll be invited to do media interviews. And, you’ll realize you’re suddenly making a bigger difference in the world.